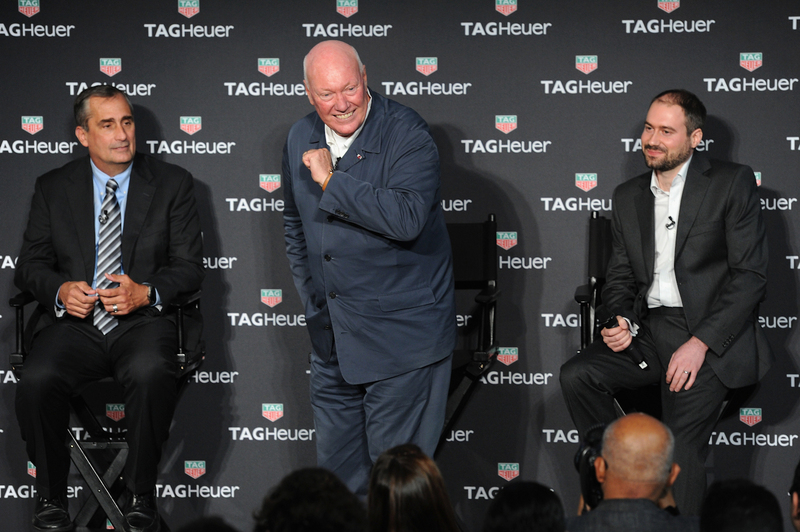 At a press conference this week, the always high-energy luxury watch industry legend Jean-Claude Biver shared a stage with Intel and Google executives to announce the dawn of a new age in Swiss watchmaking, and he put the bastions of tradition on notice. Biver addressed a packed house in the Magic Room at LVMH Tower in midtown Manhattan. Announced only one year ago, the TAG Heuer Connected does not say “Swiss Made” on the dial, but rather “Intel Inside” on the back. TAG contributes its luxury and precision-timekeeping heritage and the 46mm grade 2 titanium case that carries unmistakable TAG Heuer DNA. 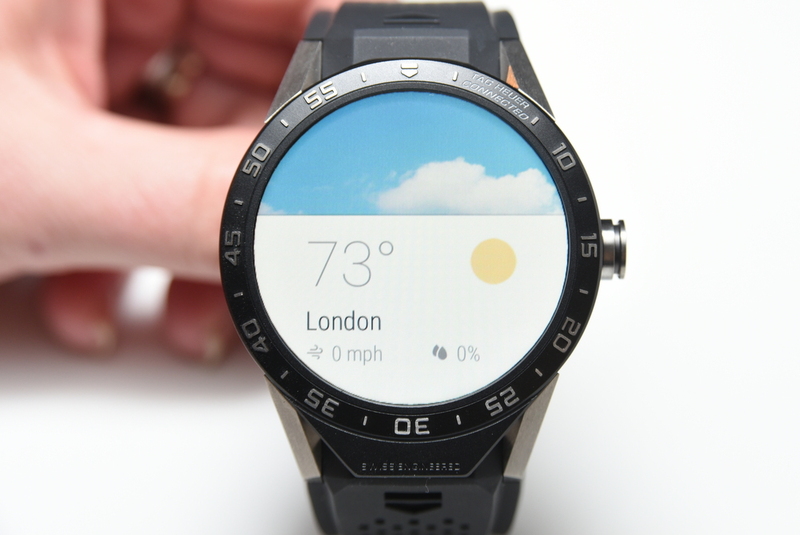 Intel manufactures the “movement”, which is powered by an Atom processor Z34XX, and Google contributes its Android Wear operating system. Swiss watch performance is no longer measured only in Hz and COSC results, but in GHz and GB. The TAG Heuer Connected represents a new age for luxury Swiss watchmaking. 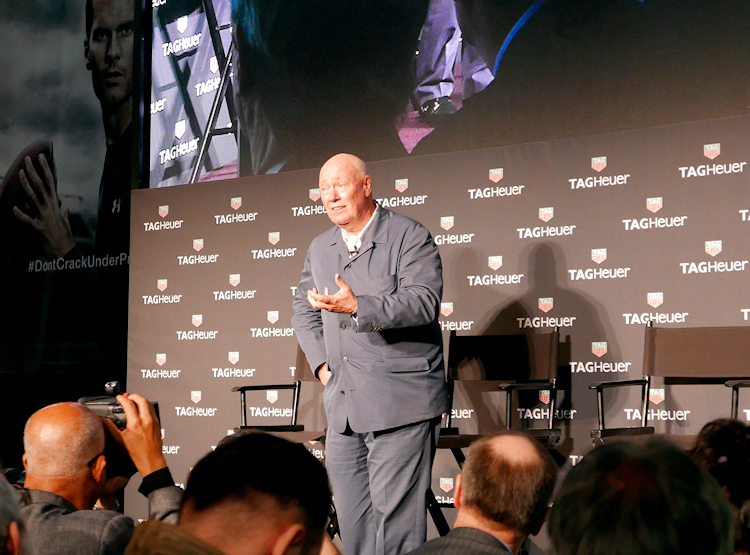 Along with the myriad of looks available with various apps, TAG Heuer has developed three digital dials, which it calls “faces” for this watch. Each incorporates clearly recognizable Carrera design codes. The current selection includes a chronograph, a GMT and a three-hand watch, available in black, deep blue and pearl white. Additional faces will become available down the road. One of the “faces” TAG Heuer has created for the Connected. 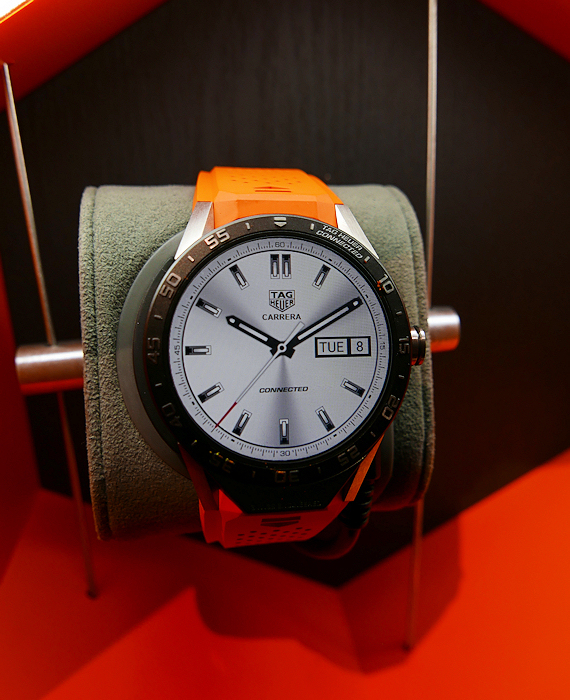 The TAG Heuer Connected offers traditional Android Wear functionality. A TAG Heuer staffer demonstrates the Connected at the launch. 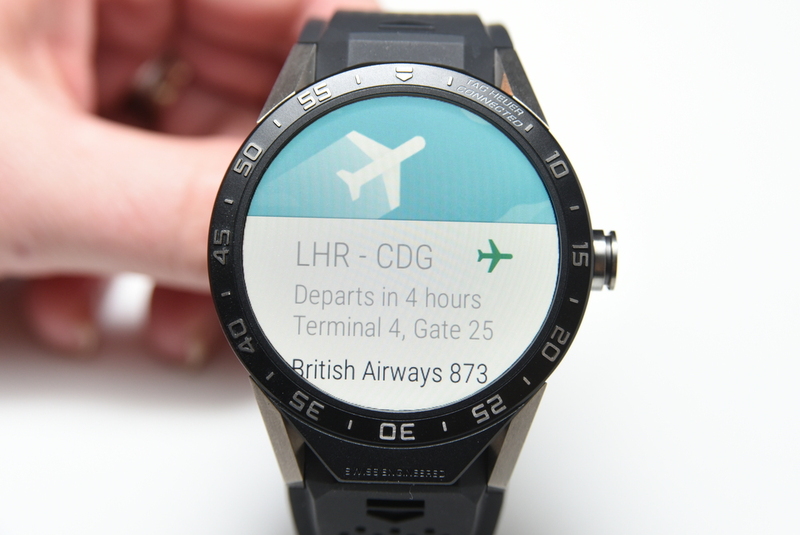 The various available counters can be displayed in either full-screen mode, or as small displays within the traditional watch faces. Custom apps created specifically for the Connected include Insiders (lifestyle), GolfShot Pro (golf), RaceChrono Pro (motor racing) and Viewrangers (trailing), each offered with a free subscription. There’s also a specially developed Software Development Kit (SDK) that enables developers to create additional custom apps. 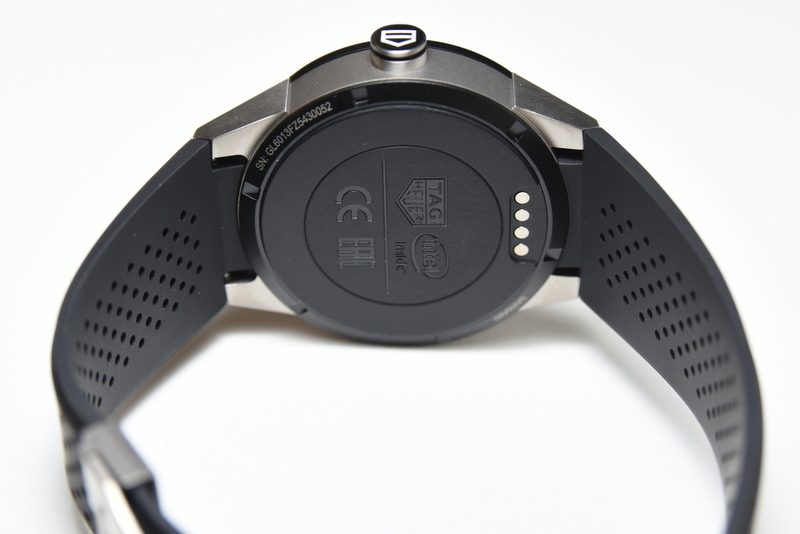 Of course the Connected offers traditional “watch” functionality, including a timer, alarm and stopwatch. The Connected lives up to its name by offering Bluetooth and Wi-Fi. 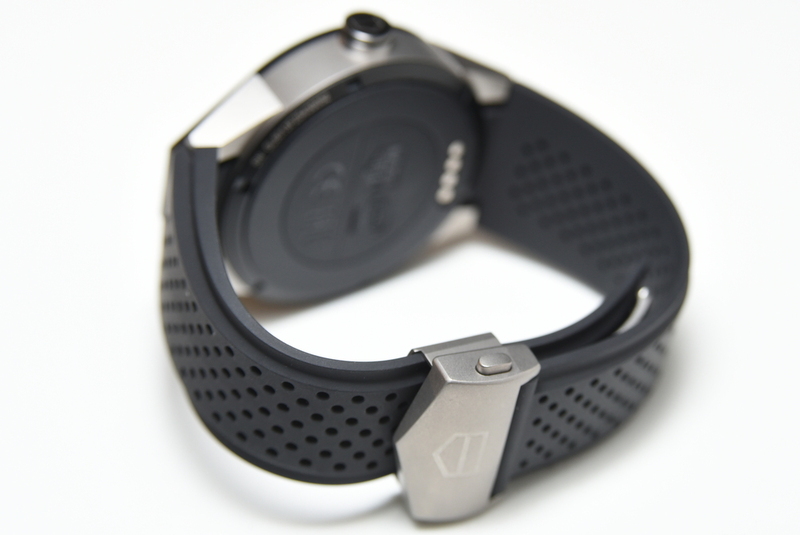 The Connected also offers 4GB of onboard memory, so you can store your music directly on the watch and listen to it via Bluetooth headphones or earbuds, without your phone being nearby, and Wi-Fi lets you connect to the cloud anytime. Using custom TAG Heuer “faces”, the Connected looks like a traditional watch. 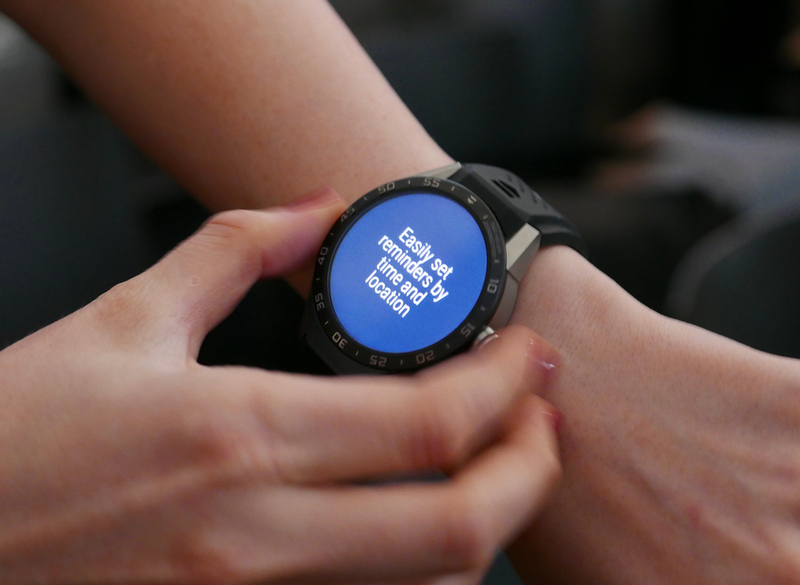 Intel’s CEO Brian Krzanich, who has been wearing the watch for a couple of months, reported that the battery lasts 18-20 hours on his busy executive wrist, so it will easily get you through a full day. 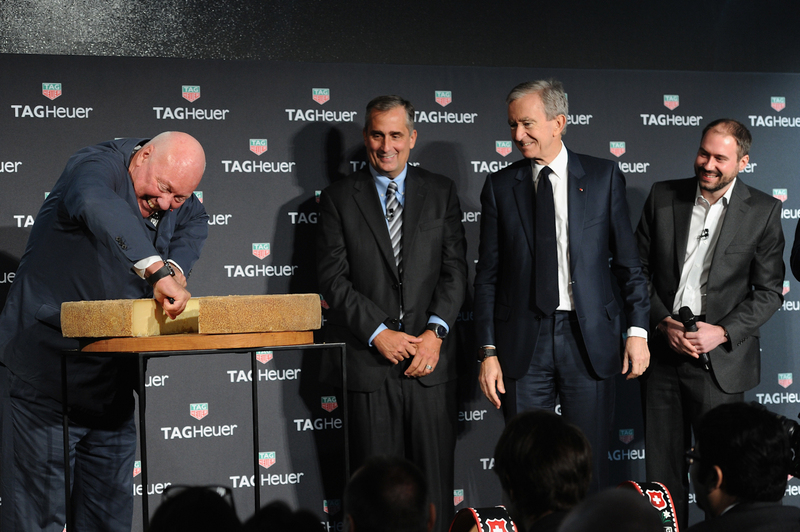 A sapphire crystal protects the “transflective” display that TAG Heuer says can be read in direct sunlight. Intel CEO Brian Krzanich (left) and Google’s David Singleton joined Jean-Claude Biver at the launch. On the fashion front, the textured rubber straps are available in black, red, blue, white, orange, green and yellow. The deployant buckle is grade 2 titanium as well. 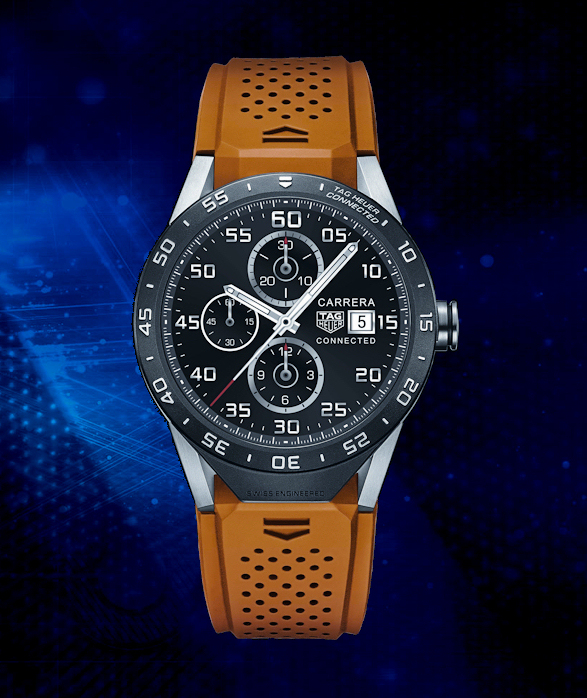 Like all TAG Heuer watches, the Connected comes with a two-year warranty. The TAG Heuer Connected is available with a range of colored straps. 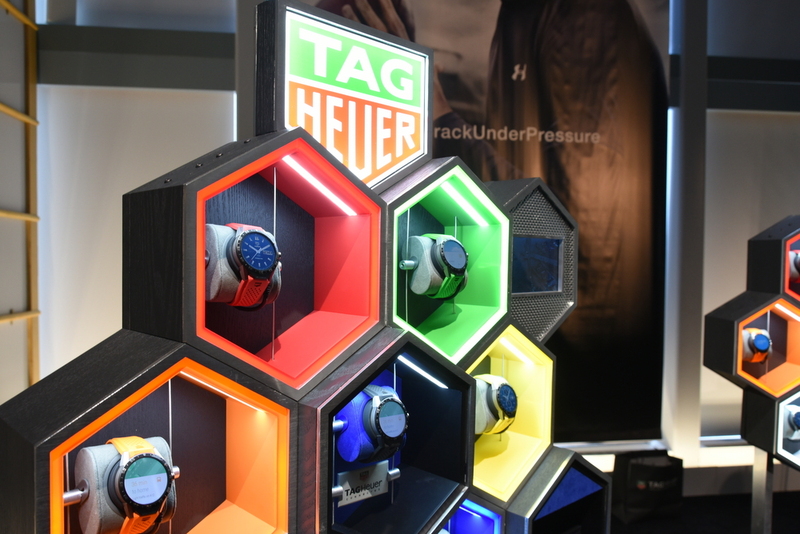 Finally, TAG Heuer has come up with an innovative option to address the big question that accompanies any expensive smartwatch: what happens when a new version is introduced? Of course you can continue to use your old watch, or you can purchase the new watch and perhaps sell the old one online. But TAG Heuer will also let you turn in your old Connected and, for an additional $1,500, they will give you a new mechanical Carrera watch with a titanium case. TAG has treated a dedicated online platform at tagheuerconnected.com to share the latest new features and obtain the partner applications available for the faces with interactive counters. 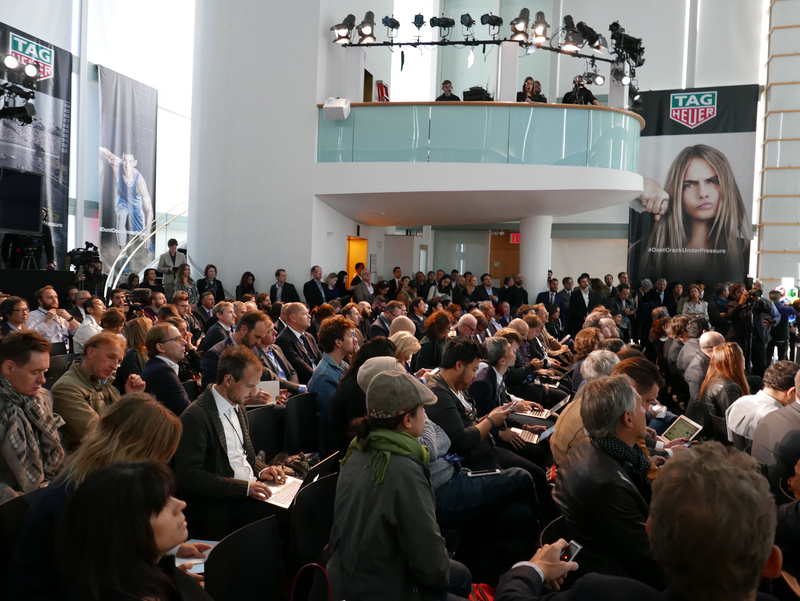 The TAG Heuer Connected app is available on Google Play. The TAG Heuer Connected watch is available for sale right now from at tagheuer.com and in more than 100 TAG Heuer boutiques and 150 retailers around the world. The list of points of sale can be viewed at the tagheuerconnected.com site. The Connected is priced at US$1,500, 1,350 Euros, 1,400 CHF and 1,100 GBP. 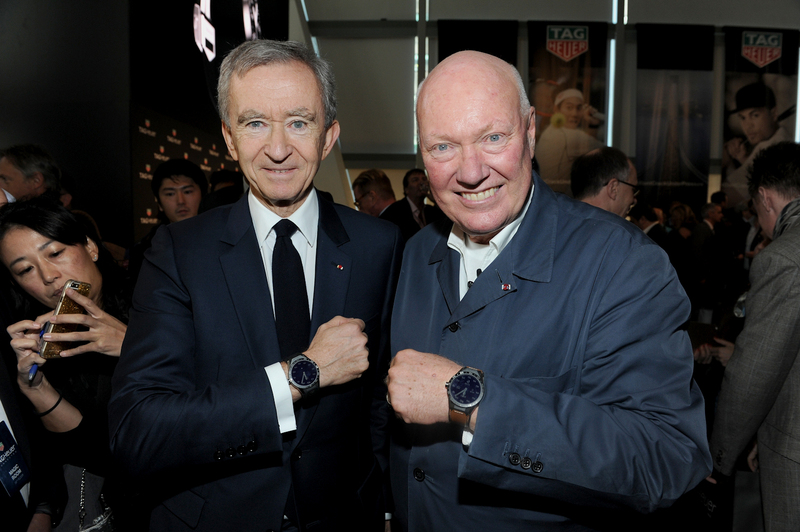 LVMH Chairman and CEO Bernard Arnault posed with Jean-Claude Biver for a traditional “check my wrist” shot. Revolution’s Adi Soon also attended the launch event, and he captured these live images of the Connected and some of the information it can display. The Connected can display flight updates. The Connected can also let you if you might need an umbrella. Fitness buffs will appreciate the step counter. The Connected case back displays the Intel Inside logo, among others. The TAG Heuer Connected case is on the beefy side. 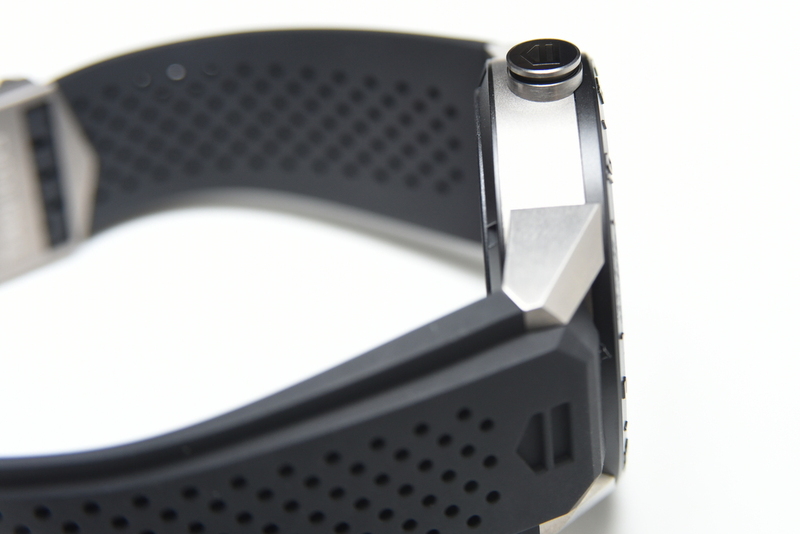 The Connected comes with a grade-2 titanium deployant buckle. Within the watch industry, Biver is known for the delicious cheese he produces on his farm. He closed the formal presentation by presenting a wheel as a gift from Switzerland. Below, he uses “the biggest knife we could find” to make the ceremonial first cut. He shared it with the audience, and we can report that it is delicious. 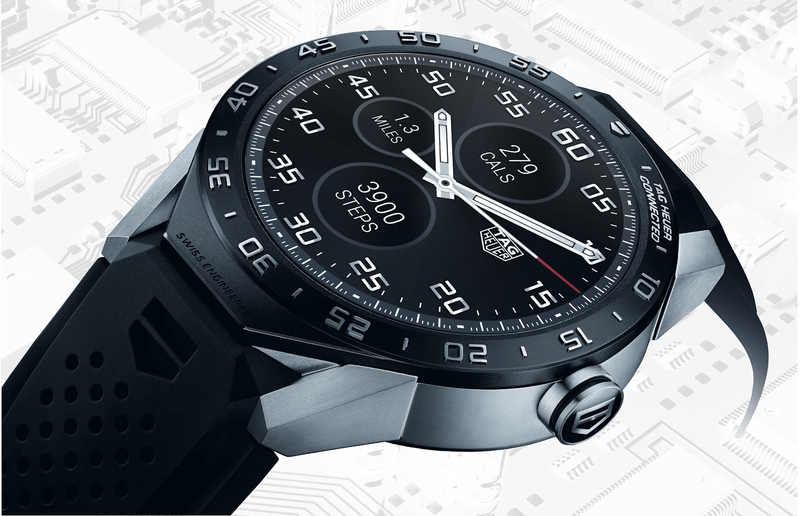 The TAG Heuer Connected is an impressive step along the path to Swiss luxury smart watches. Asked how many he thinks the brand will sell next year, Biver replied that Apple does not provide numbers for its watch, so why should he? He said that if Apple is doing well, we can assume that TAG Heuer is also doing well, as Apple Watch sales are a barometer for the public’s acceptance of wearable technology. Will other brands follow TAG’s lead? 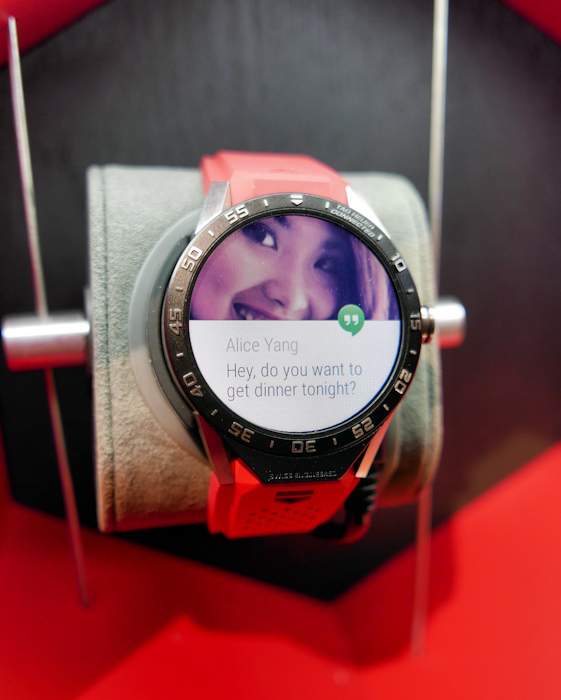 Do smart watches represent a challenge or an opportunity for makers of traditional luxury mechanical timepieces? At the risk of inducing widespread groans, only time will tell, but if anyone can sell a Swiss luxury smart watch, Jean-Claude Biver can.